In addition to our Works in Progress Talks, Brown Bag Sessions, and Conferences, each semester we host scholars from outside the Curry School to discuss their research and scholarship. Co-sponsored by Youth-Nex, the Virginia Mentoring Partnership, OAAA/GradSTAR Program, Office of Graduate & Postdoctoral Affairs Diversity Programs, and the Office for Diversity and Equity. Bio: Torie Weiston-Serdan is a scholar and practitioner with over eleven years of teaching and youth programming experience. She received her Ph.D. in Education from Claremont Graduate University at the age of 30 and has dedicated her life and career to teaching and mentoring young people in her community. She does extensive work with community-based organizations in support of their youth advocacy efforts, specializing in training mentors to work with diverse youth populations; i.e. Black, Latinx, LGBTQQ, First Generation College Students and Low-Income Youth. Torie founded the Youth Mentoring Action Network, a non-profit organization that focuses on mentoring. The organization has served over 600 youth, helping them get to universities like the University of California at Berkeley, American University, Howard University, Clark Atlanta University, and California State East Bay. An expert in youth mentoring, she specializes in training mentors to work with diverse youth populations, i.e. Black, Latino, LGBTQQ, First Generation College Students and Low-Income youth. As a scholar, she examines how marginalized and minoritized youth are served by mentoring and youth development programs. Passionate about young people and armed with a firm understanding of educational institutions, Dr. Weiston-Serdan is a strong education and community leader who is using her voice to advocate for youth voice. She has given several talks on education and mentoring, including a TedTalk and has published think pieces on mentoring, education and teaching. 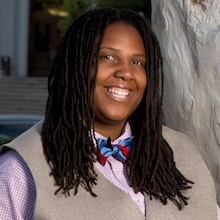 Torie Currently serves on the LGBTQ National Advisory Council and as a researcher for the California Mentoring Partnership Research Committee. Abstract: Marginalized youth deserve equitable access to meaningful youth development experiences. But many of us are unsure of how to effectively meet their needs. We can be slow to recognize that the shifting landscape of youth work requires bold and sweeping action. We need to think about youth work in innovative ways that include critical analysis of how race, gender, class, and sexuality relate to our programming, goals, and outcomes. Self-work, including equity and diversity training, is necessary to transform youth work. Torie will lead us in a discussion of race theory, exploration of cultural competence and intersectionality, and a critical spatial analysis. She will also guide strategy-building and action steps that we can immediately apply to our specific youth work contexts. Carola Suárez-Orozco is a Professor of Human Development and Psychology at UCLA and is the co-founder of Re-Imagining Migration. She publishes widely in the areas of immigrant families and youth, educational achievement among immigrant origin youth, immigrant family separations, the role of the "social mirror" in identity formation, the role of mentors in facilitating youth development, gendered experiences of immigrant youth, civic engagement among emerging adults of immigrant origin, and immigrant origin youth in community college settings. Using mixed-methods research strategies, she recently completed a study, to examine the effects of unauthorized status on college students. Currently, she is a Principle Investigator on the Spencer Foundation Grant ("Making the Invisible Visible: Systematically Examining Classroom Bias with MET Data) and the Ford Grant ("Bridging the Compassion Gap: Addressing Social Inclusion for Immigrant Origin Children & Youth"). In the United States, 5.3 million children and adolescents are growing up either with unauthorized status or with at least one parent who has that status. Until recently, little research has provided a developmental lens on the implications of these statuses for youth development. Suárez-Orozco will provide an overview of research evidence on multiple domains of development that may be affected by the child or parent’s unauthorized status. Further, she will describe the contextual and psychological mechanisms that may link these statuses to developmental outcomes. She will conclude with recommendations for policy, practice, and research that are based on the evidence reviewed. Her books include: Learning a New Land: Immigrant Children in American Society (Harvard Press), Children of Immigration (Harvard Press), Transformations: Migration, Family Life, and Achievement Motivation Among Latino Adolescents (Stanford Press) among others. Her recent book Transitions: The Development of the Children of Immigrants received the SRA Best Edited Policy Book Award for 2016. She has been awarded an American Psychological Association Presidential Citation for her contributions to the understanding of cultural psychology of immigration and served as Chair of the APA Presidential Task Force on Immigration. She has also served as the editor-in-chief of the Journal of Adolescent Research as well as is a Senior Program Associate for the William T. Grant Foundation. Professor Suárez-Orozco was inaugurated as a member of the National Academy of Education in 2016. This talk is part of the Curry Research Lectureship Series and is free and open to the public. Parking is available at the Central Grounds Parking Garage. A snack and coffee will be served.